Affiliates | I Don't Stink! 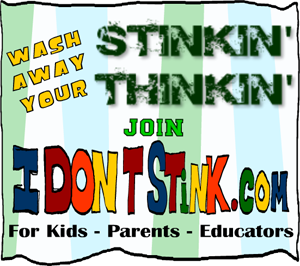 Welcome to the Affilate page for idontstink.com. In here, you will have access to banners, sales letters, Facebook, Twitter and other material to promote. You simply ROCK! Thank you for doing a joint venture with us. This si going to be cool but what is most important is that together, we are making a difference in the world. One thing I want you to be aware of is that this new membership site is not just for kids. It contains content for Parents, Educators and Youth Group Leaders and Mentors. Here are two banners you can use to place on your website. Pretty neat, huh?